Last Friday The Election In Iran Has Ended , What Is In It For The People And The Country ? Moderates And Reformists Can't Continue Serving The Master And The Masses At the Same time , at one point they must chose one over another one ! 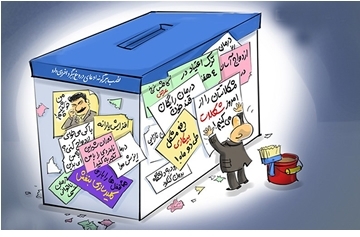 Parliamentary and assembly of experts Election has ended in Iran ,what is in it for Iranian people ? Islamic regime in Iran runs the show for 37 continues years . Other than Islamic reformists and moderate Islamists or conservatives ,opposition has no place in the political decision making in Iran. A couple of years after the revolution , the show run by Islamist revolutionaries mainly sepah with repression and creating fear among society and oppositions , the result was catastrophic with thousands of political prisoners either were mass murdered or imprisoned and disappeared . A decade and so later Islamist reformist with the support of Iranian people created a situation of hope to bring changes / reforms into the system by electing Seyed Mohammad Khatami. Mohammad Khatami at the end of his 8 years term said; he was just a provider for the regime. It was during his Government term when the students protested for six continues days which shock Iran and the Islamic regime for the first time. 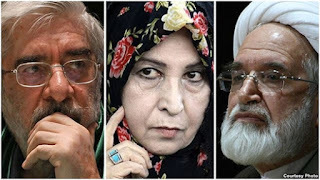 And it was also during Khatami's term when the chain murdering of writers and others politicians happened in the hand of the security intelligent officer Said Emami and other high ranking clergies. 8 Years later , after the reformists Government ended a fundamentalist Government of Mahmoud Ahmadinejad backed by sepah , Basij and Khamenei the leader of the Islamic regime ran the country to a point were almost destroyed and bankrupt the country and people. It was in his term when the Green Movement happened in 2009 and more than 4,000,000 people poured into the street for close to a year by chanting where is my vote as a result many young Iranian were killed by regime Sepah, Basij and judiciary forces? At present the moderate Islamists headed by president Hassan Rohani run the Government while Sepah, Basij and leader watch and weigh in when it is needed to control the situation. And now the parliamentary and assembly of experts election has ended and out of more than 52 million eligible vote all over Iran, the percentage of those attended at the poll and voted are very low , for example just in Tehran , around 10 million people more or less can vote , the top elected runner from reformists in Tehran just received close to 600,000 vote and the lowest elected runner received close to 400,000 vote. And the top elected runner in assembly of experts Rafsanjani received just more than 2,000,000 vote in Tehran. This shows , the people are losing faith on reformists / moderates to bring changes or to even resist for the interest of the people against the sepah, basij or leader 's selfish repressive and destructive plans for Iran. For now the moderates / reformists have the Government and the majority of MP's in parliament and also the leadership of the assembly of experts …..So we have to see- what will they do after this victory? Will they release political prisoners? will they release the green movement leaders from the house arrests ? will they bother less the media and remove repressive national security agenda from the country . Or will they bring reform in the judiciary system ? and so many other unanswered questions …. We have to wait and see …. 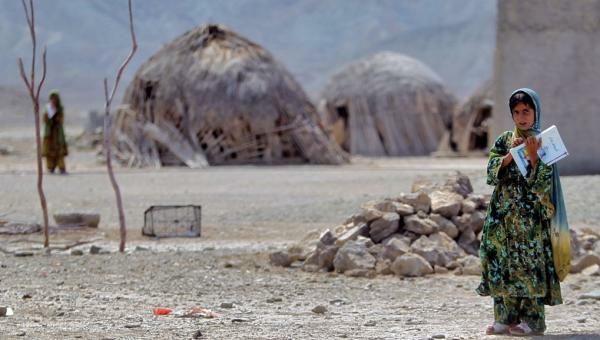 Deputy Of President Rohani Mrs. Molaverdi: All Men Of A Village In Sistan And Blouchestan Province Are Executed ! There is a village in Iran where all the men of the village are executed because of drug smuggling. According to news Mrs. Shahindokht Molaverdi the deputy of president Rohani on the issue of women criticized the executive institutions/organizations for doing nothing in supporting the families of those executed. She said; there is a village in the South -Eastern part of the country ( Close to Afghanistan )where all the men of the village are executed for drug smuggling . She did not name the village while speaking with Mehr news agency. So only women are left in the village and men's are executed . The reason is because the men ( bread winners ) of the village earning their income from drug smuggling. Iran rank top in the world on execution for years. Is on his 6th day of hunger strike - The reason for strike is because his health condition is bad and he needs immediate hospitalization. He have written a letter to the judiciary and prison officials asking to let him to be transferred to the hospital for operation and treatment. He is suffering from lower back pain and needs treatment . He is the former central bank inspector and is arrested for disclosing the 3,000,000,000 Billion Dollar corruption by former Government officials and sentenced to 5 years imprisonment. 5 years imprisonment for disclosing the corruption!!!!!?????? On his 9th day of hunger strike . He supposed to be transferred to the hospital for skin diseases ….. He is charged with Facebook social activities - written article such as ……"Doggy Life" and "Sweet life" ….. 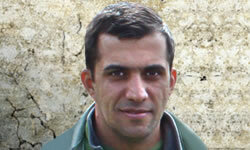 He is on his 3rd year in Evin prison. A court in the city of Ahwaz sentenced three Iranian - Arab Ahwazi activists to 9 years imprisonment . In another news from the city of Shoush, the intelligent agents on an assault on a village around Shoush have arrested six youth of the village and it is unknown where they have been taken . Tomorrow Is The Election Day In Iran ……..
Keyvan Karimi Iranian Film Director Is Sentenced By Islamic Regime Judiciary To 223 Lashes And One Year Imprisonment …..
Keyvan Karimi was arrested at his home on December 2014 and spent 12 days in solitary confinement ( ward number 2- Alef in Evin prison which run by Sepah ) but released on bail . After release he appealed the sentencing given by judge Moghiseh . Although the first sentencing which was 5 years imprisonment was reduced to one year imprisonment and 223 lashes , the appeal court approved the reduced sentencing and now this film maker has received the final sentencing, said his lawyer Mr. Amir Reisian . Kevan Karimi said, he is not intended to leave the country and will remain in the country to face the sentencing. International protection of human rights is in danger of unravelling as short-term national self-interest and draconian security crackdowns have led to a wholesale assault on basic freedoms and rights, warned Amnesty International as it launched its annual assessment of human rights around the world. “Your rights are in jeopardy: they are being treated with utter contempt by many governments around the world,” said Salil Shetty, Secretary General of Amnesty International. 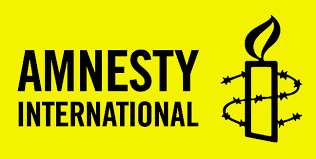 Amnesty International is warning of an insidious and creeping trend undermining human rights which has come from governments deliberately attacking, underfunding or neglecting institutions that have been set up to help protect our rights. 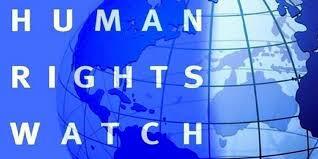 “Not only are our rights under threat, so are the laws and the system that protect them. More than 70 years of hard work and human progress lies at risk,” said Salil Shetty. The United Nations’ human rights bodies, the International Criminal Court, and regional mechanisms such as the Council of Europe and the Inter American Human Rights system, are being undermined by governments attempting to evade oversight of their domestic records. Amnesty International is calling on governments to politically support and fully fund systems that exist to uphold international law and to protect people’s rights. Amnesty International has documented how many governments have brazenly broken international law in 2015 in their national contexts: more than 122 states tortured or otherwise ill-treated people and 30 or more illegally forced refugees to return to countries where they would be in danger. In at least 19 countries, war crimes or other violations of the “laws of war” were committed by governments or armed groups. Amnesty International is also warning of a worrying trend among governments increasingly targeting and attacking activists, lawyers and others who work to defend human rights. “Instead of recognizing the crucial role these people play in society, many governments have deliberately set out to strangle criticism in their country. They have broken their own laws in their crackdowns against citizens,” said Salil Shetty. Amnesty International says this has partly been down to the reaction of many governments to evolving security threats in 2015. “The misguided reaction of many governments to national security threats has been the crushing of civil society, the right to privacy and the right to free speech; and outright attempts to make human rights dirty words, packaging them in opposition to national security, law and order and ‘national values’. Governments have even broken their own laws in this way,” said Salil Shetty. The United Nations and its offices for protecting human rights and refugees have suffered severely from the hostility and neglect of recalcitrant governments in 2015. “The UN was set up to ‘save succeeding generations from the scourge of war’ and to ‘reaffirm faith in fundamental human rights’ but it is more vulnerable than it ever has been in the face of enormous challenges,” said Salil Shetty. Many governments have wilfully thwarted UN action to prevent mass atrocities or hold to account their perpetrators, and rejected or poured scorn on its recommendations to improve human rights nationally. The Syrian conflict is one horrific example of the catastrophic human consequences of a systemic failure of the UN to fulfil its vital role in upholding rights and international law and ensuring accountability. The incoming UN Secretary General, who will be elected later this year and who will take up the post in January 2017, will inherit an organization that has achieved much but is in desperate need of reinvigoration, Amnesty International says. The organization is calling for UN member states and the UN Security Council to show brave new thinking in moving towards reform, starting with the process by which it elects a new Secretary General. “UN member states have an historic opportunity this year to reinvigorate the organization by supporting a strong candidate for Secretary General with the commitment, personal fortitude and vision needed to push back against any states bent on undermining human rights at home and internationally,” said Salil Shetty. “The world today is facing many challenges which, at their source, have been created or prolonged by governments who have played politics with people’s lives. Refugees are suffering in their millions as conflicts proliferate, and armed groups deliberately attack civilians and commit other grave abuses,” said Salil Shetty. Amnesty International has documented grave violations of economic and social and political and civil rights in 2015 in many countries. Angola: using defamation laws and state security legislation to harass, arrest and detain those peacefully expressing their views; and publicly snubbing UN recommendations on its rights record. Burundi: systematic killings and other widespread violent tactics by the security forces; and efforts to suppress the human rights community in the country. China: escalating crackdown against human rights defenders and a series of sweeping laws in the name of ‘national security’. Egypt: the arrest of thousands, including peaceful critics, in a ruthless crackdown in the name of national security, the prolonged detention of hundreds without charge or trial and the sentencing of hundreds of others to death. Hungary: sealing off its borders to thousands of refugees in dire need; and obstructing collective regional attempts to help them. Israel: maintaining its military blockade of Gaza and therefore collective punishment of the 1.8 million inhabitants there, as well as failing, like Palestine, to comply with a UN call to conduct credible investigations into war crimes committed during the 2014 Gaza conflict. Gambia: torture, enforced disappearances and the criminalization of LGBTI people; and utter refusal to co-operate with the UN and regional human rights mechanisms on issues including freedom of expression, enforced disappearance and the death penalty. Kenya: extrajudicial executions, enforced disappearances and discrimination against refugees in its counter-terrorism operations; and attempts to undermine the International Criminal Court and its ability to pursue justice. Mexico: grave record of human rights abuses including 27,000 disappeared; and its harsh response to UN criticism of the widespread use of torture, enabling almost complete impunity despite increased complaints. Pakistan: the severe human rights failings of its response to the horrific Peshawar school massacre including its relentless use of the death penalty; and its policy on international NGOs giving authorities the power to monitor them and close them down if they are considered to be “against the interests” of the country. Russia: repressive use of vague national security and anti-extremism legislation and its concerted attempts to silence civil society in the country; its shameful refusal to acknowledge civilian killings in Syria and its callous moves to block Security Council action on Syria. Saudi Arabia: brutally cracking down on those who dared to advocate reform or criticize the authorities; and committing war crimes in the bombing campaign it led in Yemen while obstructing the establishment of a UN-led inquiry into violations by all sides in the conflict. Slovakia: widespread discrimination against Roma remained despite years of efforts by national and regional groups, resulting in the European Commission having to resort to infringement proceedings against the country. Syria: killing thousands of civilians in direct and indiscriminate attacks with barrel bombs and other weaponry and through acts of torture in detention; and enforcing lengthy sieges of civilian areas, blocking international aid from reaching starving civilians. Thailand: arresting peaceful critics for activities including staging plays, posting Facebook comments and displaying graffiti; and the military authorities’ dismissal of international calls not to extend its own powers to excessively restrict rights and silence dissent in the name of “security”. UK: continued use of mass surveillance in the name of countering terrorism; and its regressive attempts to evade oversight by the European Court of Human Rights. USA: the continuing operation of the Guantanamo detention centre, an example of the grave consequences of its ¨global war on terror”; and its failure to prosecute those responsible for torture and enforced disappearances. Venezuela: continuing lack of justice in cases of grave human rights violations and constant attacks against human rights defenders; and its continuing denunciation of the American Convention of Human Rights following its earlier withdrawal from the jurisdiction of the Inter-American Court of Human Rights, denying victims of violations access to justice. Hitoshi Igarashi, the Japanese translator of The Satanic Verses, was stabbed to death outside his office at Tsukuba University, the Italian translator Ettore Capriolo survived being stabbed at his apartment in Milan, and the novel's Norwegian publisher was shot three times in the back and left for dead outside his home in Oslo. Rushdie was put under police protection by the British government and spent many years in hiding. While Iran's former President Mohammad Khatami said the threat against the author was "finished" in 1998, the fatwa has never officially been lifted. Ayatollah Khomeini's successor, Ayatollah Ali Khamenei, said in 2005 the order still stands. 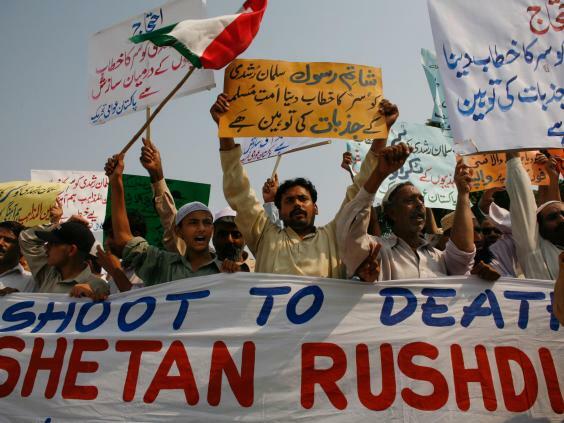 The new bounty is the largest organised effort to assassinate Rushdie since the fatwa was issued. It is currently unclear whether he has been made aware of the new bounty. Last year, the Islamic Republic cancelled its appearance at the Frankfurt Book Fair after Rushdie was announced as a speaker. They urged other Muslim nations to boycott the fair. 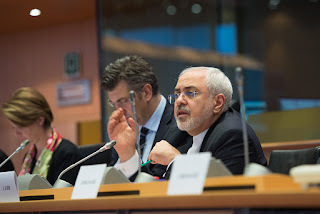 4 Days To Elections In Iran…..Parliamentary Election And ……. In Iran Peoples are more divided this time than previous years whether to vote or not to . After 37 years of the Islamic regime in Iran ,there haven't been any change or reform to the system. At the beginning of reform movement people were hopeful for changes and thats why they have supported the reform . But the Islamist reformists like President Khatami has failed to create much change/reform or to penetrate in to the hard rock of the system. So, nowadays Khatami has chosen to continue the rest of his political life in isolation due to pressure from the top leading fundamentalists particularly Khamenei without any resistance or leading his followers or supporters to resist. Regime has even banned media to speak to Khatami or to publish his picture. While the regime is calling everyone to participate in election and vote , people are more and more choosing not to . Now that only four days left to election we have to see what unexpected things will happen in Iran. 1- Iran Nation's Party ( Hezbe Melat Iran ) in a statement with several reason ( like not having freedom to chose or imprisonment of dissents and influence on engineering the election) announced that it will boycott the election. 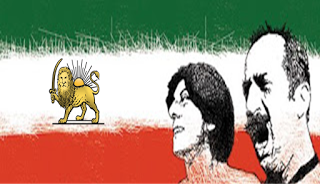 This party has 60 years political activities in Iran and one of its major leader was Dariush Frouhar …..
Islamic Regime's Games In Iran Against Iran and Iranian People Does Not End …….. 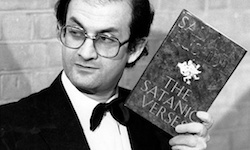 According to news , in a move again the Third Digital Islamic Revolution News Exhibition has prepared a 600,000 Dollar Reward for those who kill Salman Rushdie the writer of the Satanic Verses. According to "Digarban" News Agency, 43 media institutions have participated in this Exhibition are the backbone of the campaign to kill Salman Rushdie . The funding of all these institutions are coming from Sepah Pasdaran and Basij . 230 Million Tuman of this funding came from Fars News Agency , Basij Press and Basij News Agency. This reward is prepared on the eve of the day Khomeini first sent a Fatwa on 1989 to kill Salman Rushdie the Indian- British writer. 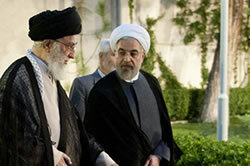 After the death of Khomeini , Khamenei the leader of the Islamic regime said he will Follow the Fatwa…. (New York, February 17, 2016) – Iranian authorities’ decision to prevent women from attending an international beach volleyball tournament this week, despite prior assurances, is a disappointing step backwards for women’s equal access to attend public sporting events, Human Rights Watch said today. Iran is hosting the first men’s beach volleyball tournament in Iran, on Kish Island, from February 15 to 19, 2016. Although an official 2012 ban prohibits Iranian women from attending volleyball matches, the International Volleyball Federation (FIVB) announced on February 7, 2016, that it received assurances from organizers of the Kish Island Open that, “the event will be open to fans from all age groups and genders. This will include families and women.” This announcement was greeted with cautious optimism by Iranian women’s rights activists, who are aware that until the ban is officially lifted, women who seek to attend volleyball matches or other sporting events remain at risk of arrest, harassment, or other forms of retaliation. The woman added that a group of other women there to watch the FIVB’s tournament had gathered on the rooftop of a nearby coffee shop overlooking the tournament grounds in an effort to see the matches. Photos and video posted by @IRIVF, the official account of the Iran Volleyball Federation, show half empty stands on day two of the tournament, with only men watching. The 2012 ban on women attending men’s volleyball matches emerged after the Iranian Ministry of Sports and Youth Affairs extended the 1979 ban on women attending games in soccer stadiums. Iranian women have worked for more than a decade to reclaim the right to attend all public sporting events, which is also guaranteed by the Olympic Charter, and the FIVB’s own constitution, which pledges non-discrimination. The ban is just one example of the multiple forms of gender discrimination faced by Iranian women in law and in practice. In June 2014, Ghoncheh Ghavami and several other women were arrested when they attempted to attend a Volleyball World League match at Tehran’s Azadi (“Freedom”) Stadium. While most were released soon thereafter, Ghavami was rearrested, charged with “propaganda against the state,” and held in Evin Prison – including a stretch in solitary confinement – for nearly five months. In October 2014 and November 2015, Human Rights Watch met with the FIVB in Lausanne to urge them to defend gender equality and take up the case of women excluded from their own international tournaments. The #Watch4Women campaign spotlights the courage and determination of Iranian women, who know their rights and are taking risks to exercise them. will serve as a litmus test for future relations, MEPs said. 10 Days To Parliamentary and Assembly of Experts Elections in Iran ……. Just 10 days have left to the Elections in Iran. The election day is on Feb. 26 this month. The Candidates have one week starting on this Thursday to start their campaign. The " Etedal and Touse- e " ( Moderate and Progress ) party together with reformists and supporter of the current Government has 30 candidates in Tehran and they have released the list. The conservatives together with fundamentalists also released their list for Tehran which consist of 30 personalities. Its been announced that there are 54, 915, 024 million people are eligible to vote in Iran . 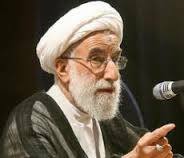 Mohammad Ali Najafi advisor to president Hassan Rohani Said; the next parliament will be made of 65% of reformists and moderates. More than 12,000 have registered their names for election - out of this 6, 230 are approved by Guardian Council and 5,200 were rejected/denied . 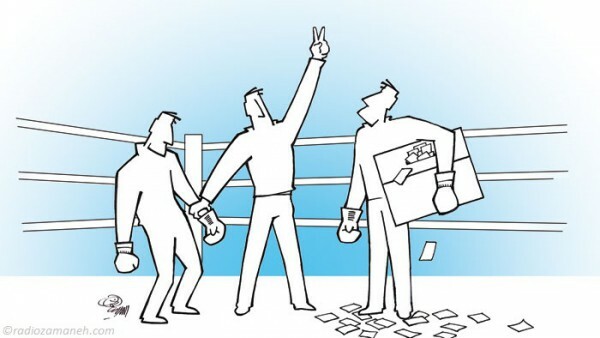 Opposition political parties and groups like nationalists , Islamists with national brand , communists , socialists, democrats , monarchists and ….are not allowed in Iran to join or to run in the election . Only those Islamists like Conservatives, fundamentalists, Islamic reformists , Islamic moderates , Motalefeh Eslami and …..are allowed to run …although between regime and reformists differences is deepening . So the dialogue on election is deepening wether to participate of not . Although Khamenei and the rest of the regime are asking people and even opposition to participate , but many opposition groups or party's close to Islamic reformist and Islamist Kargozaran or Islamist Etedalion Parties are asking their supporters to vote if there are only these candidates are in the constituency and not to participate if there are only conservatives or fundamentalists in the constituency. Many other opposition groups also in a statement boycotted the election in Iran. (Beirut) – The Iranian authorities’ arrest of a former BBC reporter on February 3, 2016, shows the risk dual nationals face if they choose to live in Iran. The family of Bahman Daroshafahi, who has been working as a translator, has not been able to find out about why he has been arrested, or by whom, or what charges he might be facing. Daroshafahi, a dual British-Iranian national who has worked as a journalist for the BBC Persian television channel and website, returned to Iran in September 2014, after living in the United Kingdom for several years. When he arrived at the airport, the authorities seized his passport. Over the next two months, Intelligence Ministry officials periodically interrogated Daroshafahi about his activities as a journalist, but at the time did not file any charges against him. Plainclothes officers from an unidentified security agency arrested Daroshafahi at a friend’s house on the morning of February 3, 2015. The officers took Daroshafahi to his parents’ house, showed him an arrest warrant, and proceeded to confiscate his digital devices. When his parents asked the officers for an explanation and to identify themselves, they refused to respond. Daroshafahi’s friends reported that his Telegram messaging application account was active for several hours after his arrest and, in at least one instance, authorities used the account to engage in conversations with a contact. Daroshafahi’s family went to Evin Prison in Tehran on February 6, where they managed to speak with an official on the telephone who confirmed that their son was being held there. The official told them that he would not be able to contact his family for another week. Two days later, Daroshafahi called his parents and told them he was detained in a “cell” and was being interrogated, but provided no further details about his charges or the identities and affiliations of his interrogator(s). Iranians who have acquired dual citizenship or have lived outside the country appear to be particular targets for security forces, Human Rights Watch said. Despite repeated calls by President Rouhani encouraging Iranians in the diaspora to return, authorities have arrested and prosecuted several Iranian citizens who have done so. On October 15, 2015, Iranian authorities arrested Siamak Namazi, a dual Iranian-American citizen and the head of strategic planning at the Dubai-based Crescent Petroleum who was visiting his family in Tehran. He remains in detention, but the charges against him are unclear. Jason Rezaian, the Washington Post journalist who was recently released in a swap of prisoners between Iran and the United States, spent 18 months in a section of Evin Prison controlled by Iran’s Revolutionary Guards and was convicted and sentenced to a term unknown even to him. Mostafa Azizi, a documentary filmmaker and Canadian permanent resident, was arrested on February 25, 2015, while visiting his family in Iran. Branch 15 of Tehran’s revolutionary court sentenced Azizi, who remains in prison, to eight years for “acting against national security,” “insulting the Supreme Leader,” and “propaganda against the state.” On May 10, 2014, Iran’s Revolutionary Guards Intelligence Organization arrested Seraj Mirdamadi, who had worked as a journalist for the Radio Zamaneh website when he lived in France. He had returned to Iran in 2013, and had been subjected to several rounds of interrogation before his arrest. 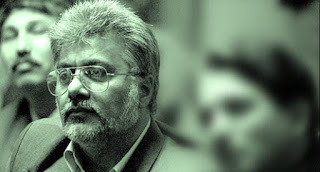 On July 27, 2014, Branch 15 of Tehran’s revolutionary court sentenced Mirdamadi to six years in prison for “assembly and collusion against national security” and “propaganda against the state” for his journalistic activities. He is in of Evin Prison. Mirdamadi’s father told Roozonline website that Judge Abolghasem Salavati at Branch 15 of Tehran’s revolutionary court said during the trial that he was going to make an example of Mirdamadi so that others would not think about returning. In April 2014, Iran’s Revolutionary Guards Intelligence Organization’s officers arrested Hossein Nouraninejad, a journalist and member of the Participation Front political party, two months after he returned from Australia, where he had been in graduate school. In June 2014, a revolutionary court sentenced Nournajinejad, who had been released on bail after two months of solitary confinement, to six years in prison on charges of “propaganda against the state” and “assembly and collusion against national security.” A court of appeal reduced Nournainejad’s sentence to one year. Nouraninejad is in Evin Prison. 11 Days To The Election in Iran - The Religious Leaders Of the Green Movement Still Under House Arrests After 5 Continues Years ….. The Green Movement was A protest Of Iranian People who did not want the continuation of this political status quo . A political system which do not respect the peoples vote to elect their MP's or president . Iranian people did not want to say another yes to the continuation of the status quo . The people after more than three decades wanted to say No to the political trend and thats why they came by millions to the street and protested against the system and the security forces which runs the show in Iran . Hassan Rohani the current president must also decide whether to serve the master ( Khamenei / Security forces of Sepah / economic Mafia ) or the masses, there is no other way such as serving the master and masses at the same time. Although Hassan Rhone is different in his position and policies from Khatami the former president but at the end regime won't allow any radical political reform in Iran . And because of this situation, the People are frustrated and Iran is awaiting a huge resistance and protest in future against the current status quo . The leaders of the Green Movement in 2009 joined the people's to protest and wanted to change the status quo or the way the regime runs the show in Iran. Being the observer of regime's show or being the follower of the regime scenarios is coming to an end in Iran and it is getting harder for regime to continue these type of shows as a legitimate election . Feb. 26 is the Election day in Iran. Around 100 Students Supporter OF Imprisoned Mohammad Ali Taheri Staged Sit In Protest At Khomeini's Shrine …. 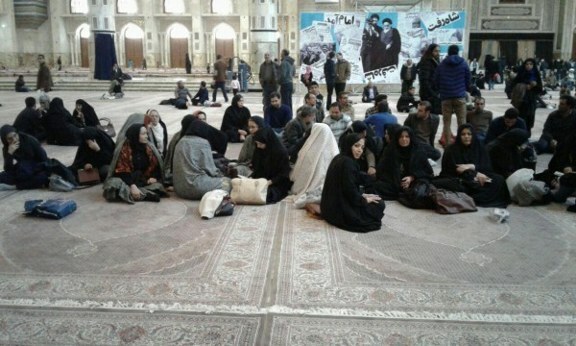 According to Saham news , around 100 students supporter of the imprisoned Mohammad Ali Taheri the leader of the " Erfane Halgheh " staged a sit in protest at Khomeini's Shrine in Beheshte Zahra against the continues imprisonment of their leader and his hunger strike from 13 days ago . 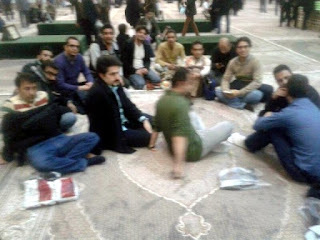 In this sit in protest ,the security forces clashed with protesters and pulled 40 women and men protesters to a room. At the end of this event 10 protesters were removed from the rest to be transferred to Evin prison. According to BBC Farsi report , Mehdi Saharkheiz the son of Isa Saharkheiz the Iranian Islamist reformist journalist and one of the current political prisoner has started his dry hunger strike in prison. Isa Saharkheiz have been arrested in the past and spent 4 years in prison after the presidential coup in 2009 . Isa Saharkheiz is allegedly accused of propagating against the Islamic regime and conspiracy against national security by collaborating with others . According to Mehdi Saharkheiz the son of Isa Saharkheiz the security forces inside the prison have taken his father's glasses and his tooth brush and are forcing him to confess for things that he haven't done . According to news from Tasnim News , and as the Parliamentry and Assembly of Experts election is getting closer to Feb. 26 the days of election , Hosein Ashtary the Naja Commanders said ; any type of election meetings or Street gatherings is banned and police will prevent with such meetings or street gatherings. country of origin in matters concerning their native nationality. Furthermore, the Canadian government’s closure of its embassy in Tehran left many Iranian Canadian families without access to the consular services which allowed their relatives to acquire visas to visit them here in Canada. The shutting down of the Canadian embassy in Tehran also disrupted the immigration process for thousands of Iranian applicants whose access to Canadian immigration officers is now limited to neighbouring countries (mainly Turkey and UAE). Similarly, for almost 4 years the Iranian-Canadian community has been unable to take advantage of Iranian consular services in Ottawa. This has resulted in unnecessary obstacles with respect to obtaining new passports and other identification documents required for travelling and delegation purposes. We also believe that a continuation of a state of diplomatic suspension with Iran at a time when the country’s recent agreement with the world’s powers has been embraced by the international community can weaken Canada’s position at the world stage. It is also our belief that restoring diplomatic relations with Iran can help resolve outstanding issues between the two sides by fostering the ability of both countries to negotiate on behalf of their citizens. Though the minister of Foreign Affairs has recently stated that Canada is changing its policy towards Iran during question period in parliament, the Conservatives with the help of pro-sanction groups are pressing the government to maintain the status quo and even impose new sanctions, thereby hindering efforts to break the current diplomatic freeze. Given the welcome statements made by foreign minister Dion, we ask the Prime Minister and the Government of Canada, in solidarity with our allies in the international community, to elevate the priority given to the issue of resuming diplomatic relations with Iran and to accelerate the process for exchanging embassies with the country. According to " Jahan Sanat " Newspaper , Tow boys were hand cuffed and taken to the streets of the city of Sari on a move the people to watch them as part of punishment for allegedly breaking the glass windows of 12 shops in the city . Mr. Bahman Keshavarz a lawyer told to the paper that ,in our legal system we do not have a punishment to move the alleged accused in the city for people to watch them and i don't believe that, at present time and age such an actions in the Islamic Republic's judiciary can be justified . 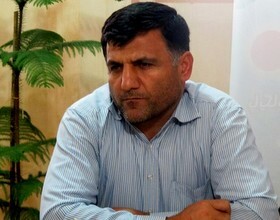 According to an article in Hamdeli Newspaper , Mr. Valyollah Shoja Pourian a former MP and current member of Tehran City Council criticized president Rohani for what he called as Inactiveness and just acted as an observer towards the rejection of Islamist reformists candidates and he also told the president that ;the reformists are not just a minority political group as he thinks . Mr. Shoja Pourian also said; Except a few open positioning , the president did not participate effectively on the issue of the rejection of reformists candidates by the Guardian Council. He added that, the Reformism is a not just a minority political group but a deep rooted political and influential personalities and issue on the mind of the Iranian society and has more than 10 million supporters and they must have candidates representing them in the parliament. According to a news by Digarban , Mrs. Ashraf Brojerdi an Islamist Reformist activist said; the effort by Hassan Rohani to lobby among Guardian Council and Khamenei for the approval of the 270 most influential reformists failed .
" As far as i am concerned ,the effort by Hassan Rohani ended with NO result and none of those 270 reformists did not return to the election stage. 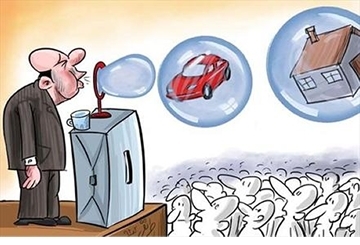 Unfortunately the credibility of the most influential reformists is rejected ." Said Ashraf Brojerdi . 20 Days To Parliamentary Election In Iran …….. According to news and based on what a member of the Guardian Council has said, the credibility of close to 75 % of the candidates for the parliamentary election are rejected / disapproved in its second round of review by the Guardian Council. Nejatollah Ebrahimian said, only the credibility of close to 25 % have been approved in the second round of review. A week earlier Abdolreza Rahmani Fazli the Interior Minister of the Islamic Regime said; 5,500 candidate for parliamentary election who were disapproved by the Guardian Council have filed complaint against their disapproval by Guardian Council . Guardian Council consists of a bunch of close to 90 years old Islamic clergies watch dogs . The Guardian Council earlier announced that the council have rejected the credibilities of close to 6,573 candidates. According to news , Jafar Khaefi the wounded veteran of Iran Iraq war is arrested by security forces of the Islamic regime . The reason for his arrest , is because he has organized a campaign to say NO to the fundamentalist like Mohammad Sadegh Larijani from entering into the Assembley of Experts. Mr. Khaefi is a political activist in Mazanderan Province supporting the moderates against Fundamentalists . His Campaign calls the people of Mazanderan to Say NO to Sadegh Larijani the current head of judiciary power. Mr. Khaefi received the highest number of vote in the region of Miyandoroud as city council. A Campaign Has Just Started in Iran And It Is Called " I Remember "
Recently Zahra Rahnavard the wife of Mir Hossein Musavi one of the Islamist green movement leader from her house arrest sent a message which is called " Remember the candle that has died , remember ! " On this occasion and because of five years house arrest of the Mir Hossein Musavi, Zahra Rahnavard and Mehdi Karoubi the leaders of the green movement since the presidential election of 2009 , this campaign has began its activities and according to the organizers the campaign will continue its activities for five weeks for now as symbolic to five years imprisonment . 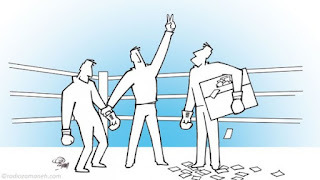 the organizers asked Iranian to use internet programmes to start this campaign for now or any other means like writing this message on Iranian bills , since the Government of Hassan Rohani and his campaign promise to remove the house arrest did not take place. The Kurdistan Human Rights Defenders in Iran Demanding From Officials To Drop These Death Sentences and Stop The Execution. According to latest report and based on some local reports 27 Iranian -Kurdish political prisoners received death sentence and the sentencing is approved by judiciary. These prisoners are mostly young and regime is accusing them of assaulting the officials of the Islamic regime including security forces or judiciary officials in their home based region and they are all of Sunni faith . These Kurdish political prisoners are all in Rejaei Shahr prison. Unemployment in Iran Is In Its Highest Level , Said Kazem Sedighi The Friday Prayer Imam Of Tehran …. According to news coming from Iran ,Kazem Sedighi the Friday prayer Imam of Tehran speaking to an audience in the city of Mashhad said; the unemployment in Iran is in its highest level and at present the production engine of the country has stopped . This shows regime is in deep trouble not only of the corruption but also production and unemployment. This is another fundamentalist clergy and an anti Islamic Reformists. 23 Days To The Election in Iran And Islamic Regime Arrested Yet Another Iranian Journalist…….. According to news coming from Iran and reported by Zamaneh Radio , Bahman Darolshafaei the journalist , blogger , Translator and Documentary maker is arrested today in Tehran . 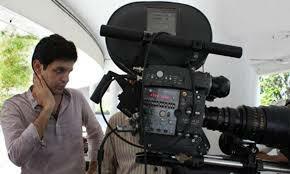 Bahman has the work experience of many newspapers including Sharq and Chelcheragh and Etemade Melli in his profile. He had returned to Iran last year . No one knows where the intelligence agents of Sepah has taken him. Bahman joined the BBC Farsi and worked there for five years . Bahman Darolshafaei's family were under constant harsh treatment by regime and Sepah . (New York, January 29, 2016) – Iran’s Revolutionary Guards Corps (IRGC) has recruited thousands of undocumented Afghans living there to fight in Syria since at least November 2013, Human Rights Watch said today, and a few have reported that Iranian authorities coerced them. Iran has urged the Afghans to defend Shia sacred sites and offered financial incentives and legal residence in Iran to encourage them to join pro-Syrian government militias. Iran hosts an estimated 3 million Afghans, many of whom have fled persecution and repeated bouts of armed conflict in Afghanistan. Only 950,000 have formal legal status in Iran as refugees. The Iranian government has excluded the remainder from accessing asylum procedures, leaving many who may want to seek asylum undocumented or dependent on temporary visas. Funerals for Afghan fighters killed in Syria are frequently held in Iran, sometimes attended by Iranian officials. While Iran officially claims that thousands of Afghans living in Iran have volunteered to join the militias, their vulnerable legal position in Iran and the fear of deportation may contribute to their decision, making it less than voluntary. Many said that the threat of arrest and forced conscription in Iran was an important contributing factor in their decision to leave Iran. “Iran should be offering greater protection to Afghan refugees, not coercively recruiting them to fight for Assad,” Bouckaert said. For details of interviews with the Afghan men and boys, please see below.